Not far from Trevi, on the road to Spoleto, are to be found the Fonti del Clitunno, the series of springs that form the source of the River Clitunno. The River was named after Clitumnus, the Roman messenger god who was said to have the skills of a great orator. Drinking the spring’s waters is not said to improve a person’s oratory skills, but it is said to remove the desire for alcohol. We didn’t test that theory, though on reflection perhaps we should have…. 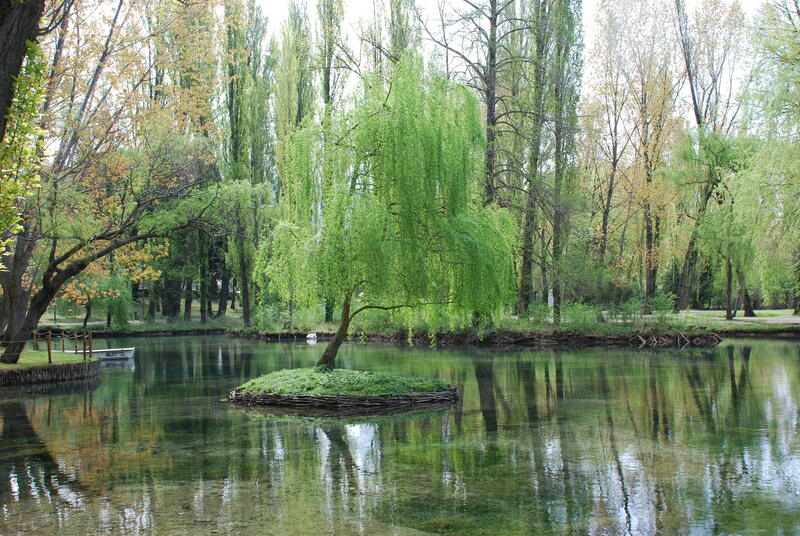 The springs form a large pool; its crystal clear waters, full of aquatic plants, were sacred to the Romans and, prior to sacrifice, the Romans would plunge their animals into the waters to purify them. The fertile land and the abundant waters – which at one time were navigable – drew the Romans to build holiday villas, public baths and places of worship along the river banks. There is nothing left today, other than a small Temple (closed when we visited!) about a kilometre from the springs which was built around the 8th century and contains frescoes thought to be the oldest sacred paintings in Umbria. 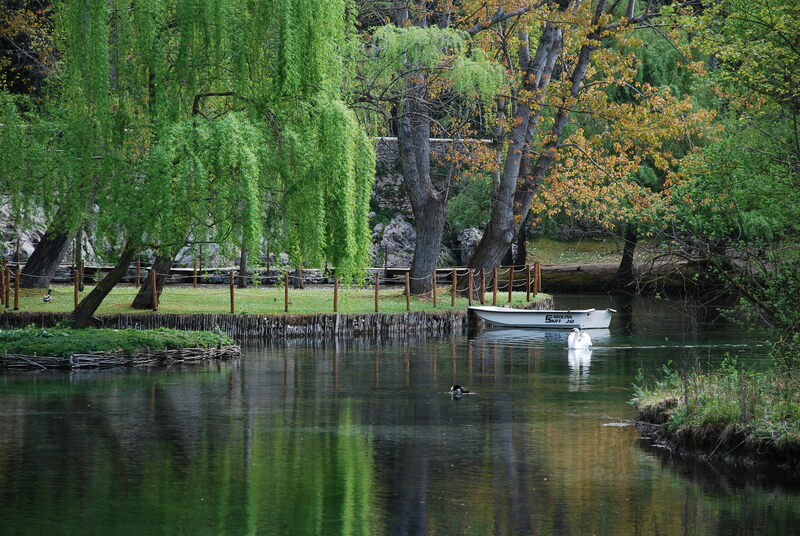 The springs have also been an inspiration for many writers over the centuries. Indeed there is a sculpture dedicated to the poet Giosue Carducci, the first Italian poet to be awarded the Nobel Prize for Literature. 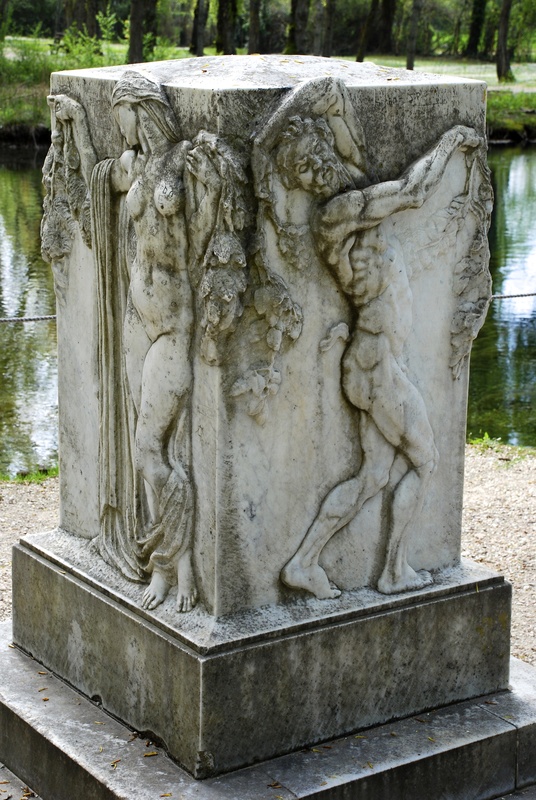 Carducci visited the springs in 1876 and subsequently wrote Alle Fonti del Clitunno. Virgil (70BC-19BC), a Roman poet of the Augustan era described the purification ceremony “From here, Clitunno, the white flocks and the bull…repeatedly immersed in your holy water..” Pliny the Younger (@61AD to 112AD), lawyer, author and magistrate in Ancient Rome wrote enthusiastically to one of his friends “There is a small hill all covered up with ancient and shady cyprus trees: at its feet lies a water spring with many and different veins that convey into a small lake that stretches so pure you could even count the coins people throw at the bottom and the shining stones.” Byron, following a visit in 1817, described Clitunno as “the most gracious river of all the poetry“, and included verses about the springs in his epic poem Childe Harold’s Pilgrimage. It was a tranquil, calm place bathed in Spring sunlight. We walked around the pool’s edge, accompanied only by birdsong, the splash of ducks hitting the water and the outraged honk of a lone goose. A swan glided gracefully across the pool, its reflection clear and diffused white. And we knew why this place was sacred and inspirational. This entry was posted in Italian Life and tagged Fonti del Clitunni on April 17, 2013 by maryshoobridge. ….but I haven’t blogged for some time. To be honest it began to feel like “look where I’ve been” which really does not suit me and I think I lost my inspiration. I have some other projects underway, including a book on Spello based on my blog and later visits. It was so difficult to find information about Spello and the area when we went originally that I thought I might share my experiences. I do still take thousands of photos of mixed quality, and I follow a couple of blogs including yours. And it is always good to hear from you. Take care. Sounds great that you are using the Spello blog to create a book. I think it’s a really good idea. I look forward to hearing more about it.